This National Lampoon Christmas Vacation "Squirrel!" 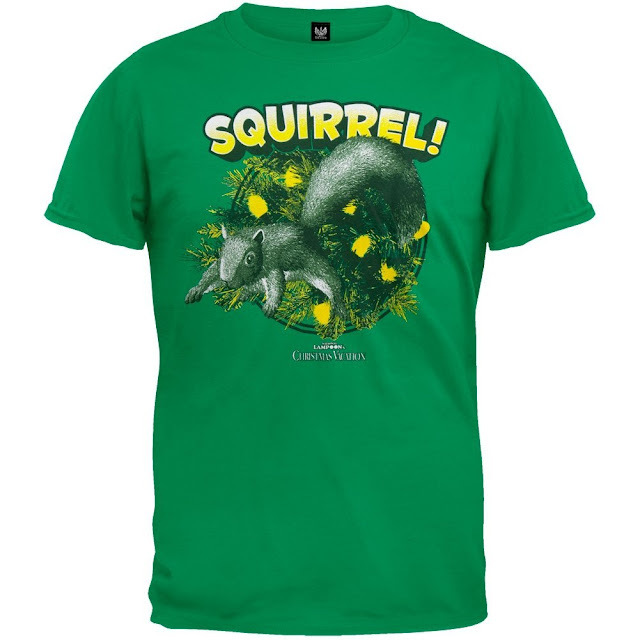 Shirt commemorates a key climax in the movie when a squirrel bursts from a Christmas tree. This shirt design does a great job of capturing the drama. Because even simple comedies offer important life lessons. This funny squirrel shirt helps bring those lessons to life and carefully couches them in humor. For the real fans out there, here's a word of truth: A Christmas Vacation Attacking Squirrel with sensor and sound is available in the gift shop (Misc. Section).